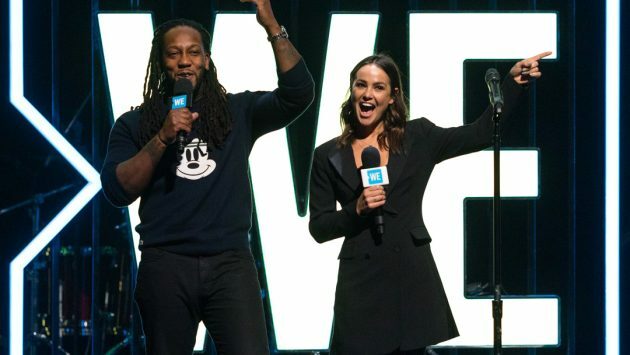 Known for celebrity-endorsed fundraising and enthusiastic motivational speakers, the WE children’s charity shifted gears this year at the live WE Day event in Montreal. 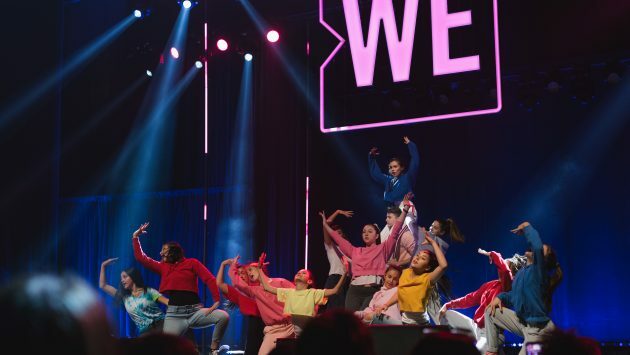 Taking place February 11 and 12 at Théâtre St-Denis, WE Day Montreal still brought high-energy musical and dance performances – crowd participation strongly encouraged – but it also paused for sombre reflection and emotional testimony, with issues of Indigenous experience and mental wellness taking centre stage. A group of Cree youth participating in the Mikw Chiyam arts program at Mistissini’s Voyageur Memorial High School made the trip to Montreal with their teachers and some of their families, accompanied by program directors David Hodges and Katie Green. This year was especially exciting for the Cree in attendance, as students and artists Angel Baribeau and Kim Wapachee-McDougall were invited to perform. The day began with a lesson on creation and a welcoming prayer by Mohawk Elder Kawennatos Sedalia Fazio, who spoke to the importance of taking care of Mother Sky and Mother Earth if we wish for them to continue to care for us. 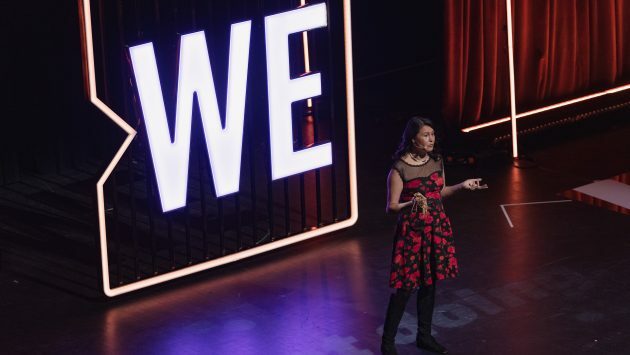 Shortly after, Nakuset, the director of the Native Women’s Shelter of Montreal, shared her heartbreaking story of being reunited with her sister years after the Sixties Scoop, only to lose her again when she took her own life after a battle with depression. While there was plenty of emotion in the room throughout the morning and afternoon, the program also included lighter moments such as a live video chat with astronaut David Saint-Jacques, who called in from the International Space Station. 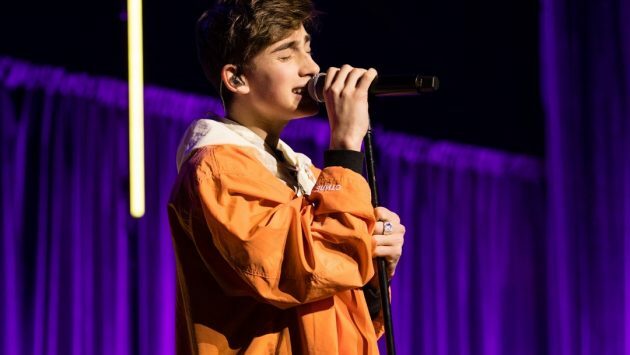 As he floated in zero gravity and twirled his microphone in the air he offered the youth in attendance some great advice. Finally, it was time for two Cree youth to take their turn to shine. 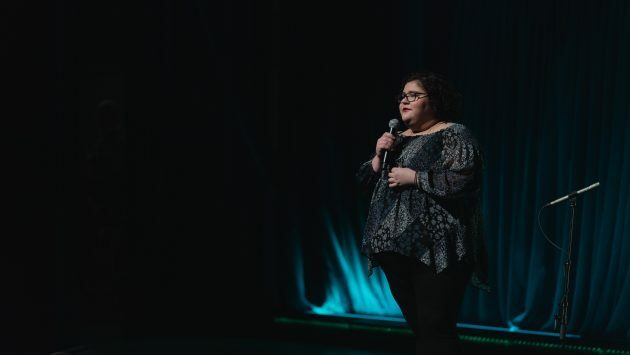 First up was Angel Baribeau, who bravely stepped on stage and shared her struggles with self-worth and the battle to reconcile her Indigenous identity with the stereotypes and negative representations too often perpetuated about Natives and First Nations communities. Baribeau then brought out classmate Kim Wapachee-McDougall to accompany her on ukulele for an original song titled “Lemon Heart”. 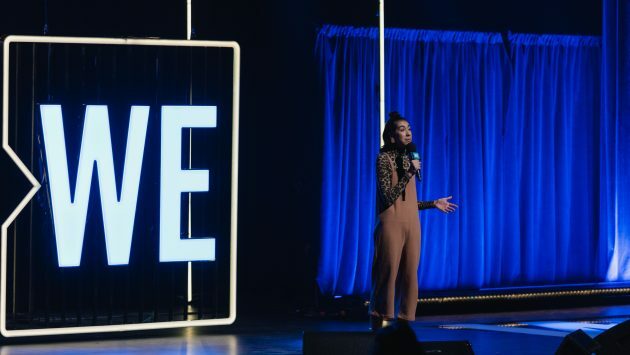 It was a short, powerful and emotional musical performance that encapsulated her journey towards becoming comfortable in her own skin – and highlighted her amazing voice. Both Baribeau and Wapachee-McDougall were thrilled to be able to perform in front of such a large crowd of their peers and the whole Mikw Chiyam crew from Mistissini seemed to thoroughly enjoy the day’s activities. Baribeau and Wapachee-McDougall described the nerves and excitement they experienced both in the days leading up to the event and while they were on stage. 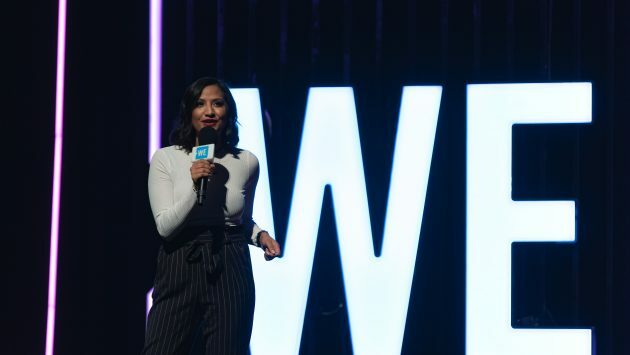 Angel Baribeau, Aboriginal Youth Advocate, Climate Advocate, and LGBTQ Advocate shares her story with 2,000 youth and educators at WE Day Montreal on February 11, 2019 at Théâtre St-Denis. Asked what’s up next in their musical endeavours, Baribeau said they have a couple things in the works and will hopefully be recording some more music in May. “It’s an open road from there,” she said. The two young Cree women also had a couple important messages to deliver to members of their family. “To Robert Baribeau, ‘Do you believe me now?’ Signed, your daughter,” said Baribeau. “Can you message my mom and say, ‘Is it a job yet?’” asked Wapachee-McDougall. 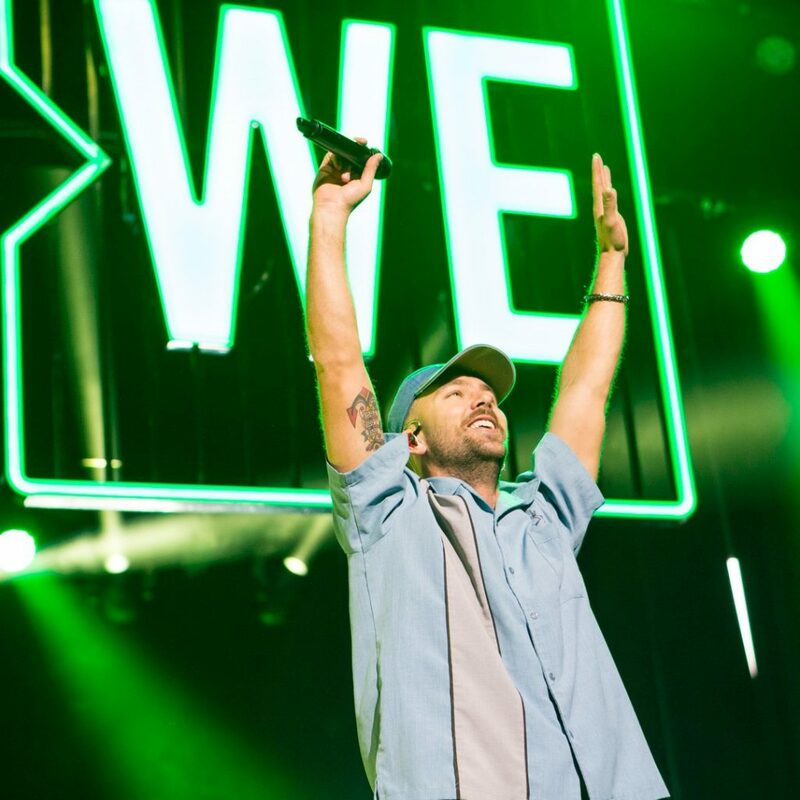 Cree Justice Director Donald Nicholls, who has helped organize annual trips to WE Day for Cree youth for five years, summed up the positive influence the WE organization has had. 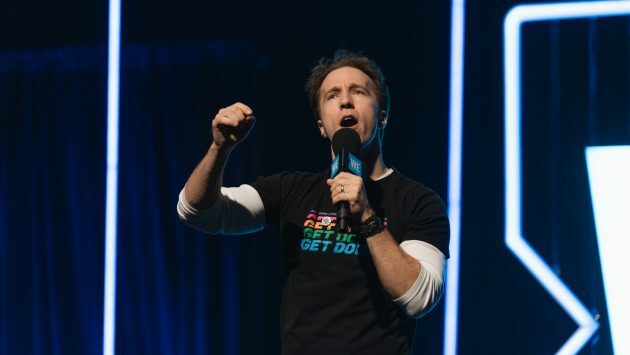 He also brought the group of Cree students backstage at lunch to meet WE Day founder Craig Kielburger and take a group photo.